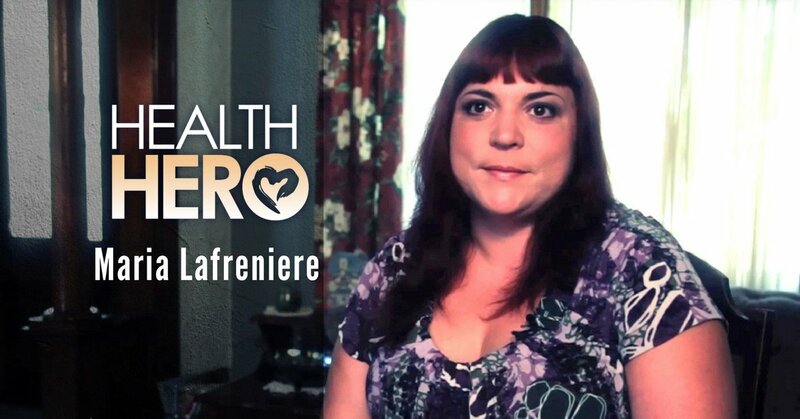 This week’s Health Hero, Maria Lafreniere was utterly shocked when told she was HIV positive in Sept 2007. She remembered that summer she was very sick. Finding the timing of the illness strange, she called her father who was a registered nurse. He suggested an HIV test, but Maria brushed it off as she believed she didn’t fit the typical specifications of many who are HIV positive. She was in a committed relationship, did not use any type of needles and had been previously tested during her first pregnancy three years prior. But to her surprise, Maria’s doctor gave her the shocking news at a prenatal appointment. After the diagnosis, Maria said she began to understand the stigma of an HIV positive diagnosis. At one point, she felt like she had the black plague. Even her mother treated her differently until she was educated about how people can contract the virus. Maria has had to deal with many doctors who did not think they were capable of handling a patient with HIV. She also saw her children (who are not HIV positive) being treated differently, not invited to parties or suddenly losing friends after other parents found out she was positive for HIV. Maria Lafreniere is our Health Hero this week because she believes in fighting the stigma by talking about HIV and educating people on this topic. She also does not let her diagnosis stop her from living life to the fullest while creating a wonderful life for her children. Her outlook and her determination has made her a Health Hero.